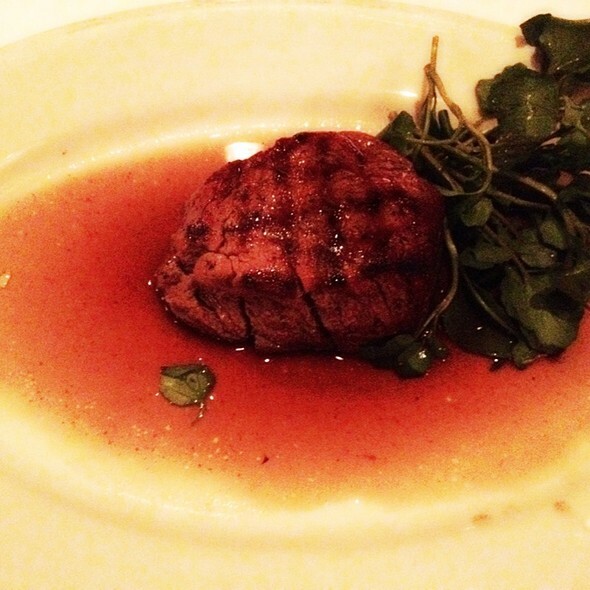 You must make reservations at least 5 minutes in advance of the time at Morton's The Steakhouse - Houston - Galleria. Complimentary Valet available during lunch hours only. Valet available for $5 per vehicle during dinner. The Center parking lot at Post Oak is also available. Now Offering Complimentary Shuttle Service! Reserve by speaking to the manager on duty. Private and group dining available. Contact our dedicated Sales and Marketing Manager to plan your next business or social event. Hosting a party at your home or office? Ask about Morton's Prime To Go and Prime Platters! Catering available from menu selections. Please contact Lisa Olson at (713) 629-9589 for details. 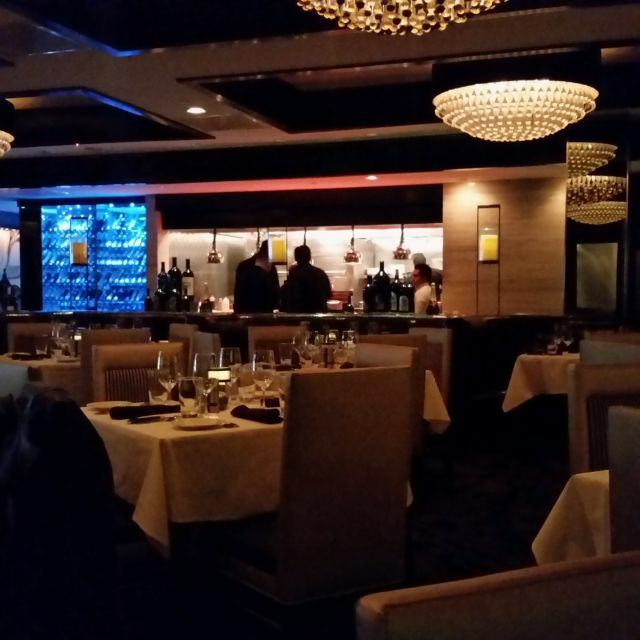 Thank you for reserving at Morton's The Steakhouse - Houston (Galleria). We look forward to serving you. USDA prime-aged beef, succulent seafood, fine wine, chilled cocktails, decadent desserts, crisp white linens and exceptional service...Savor The Good Life. For over 30 years, the Steakhouse by which all others are measured. For special events, private Boardroom information, worldwide location listing and online reservations, visit www.mortons.com. Very nice restaurant, great food and great service. Ambiance was good, not great. Fantastic service and a delicious meal. The food was prepared as described and to our specifications. The tuna tower appetizer was amazing. I love Mortons, have been going for years. First time tried in Houston and it was OK. I feel like the service could have been better for a nice restaurant. We had dirty dishes on our table the entire meal. Crumbs from the bread were finally wiped off at the end of our meal, but should have been done so before the main entree. The Manager checked on us after the meal, but wreaked of cigarettes. Am pregnant so that made me sick. I will continue to go as I love the food and old school vibe, but maybe not at much. My husband had the short rib that was amazing! And I had the lobster mac and cheese that was also amazing! They are not stingy with the lobster! Secon time dining here and again were very satisfied. My husband truly enjoyed the twin lobster special. I had the fish special topped with crabmeat which was delicious. Our side was the spinach and mushrooms. Our server, Jacqueline was very attentive and friendly and knowledgeable. We will definitely be back. Attentive waiter service with very good food at "date night" prices (very reasonable for a top end restaurant). What more does a couple want? La carne, buena, pero no excelente como era antes. El postre de suflé malísimo (estaba aguado, como si solo fueran unas claras batidas), el vino por copeo también muy malo. Awesome subday family dinner time!! Always a great dinner. We ate the Cajon ribeye with spinach & mushroom bells. Excellent wine selection. They now have complimentary shuttle service within a 3-mile radius of restaurant. Our experience was exceptional. David, our server, was very knowledgeable and professional. Loved everything we ordered. 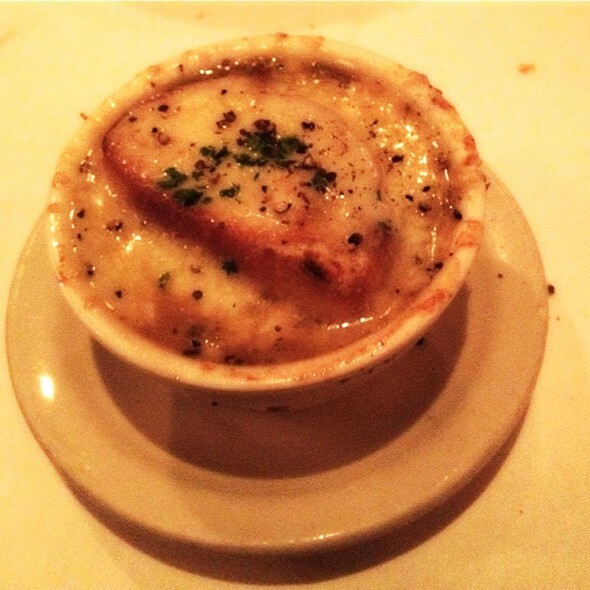 Especially the bread pudding and complimentary bread. 😊. Generous portions because we had a meal the next day!! 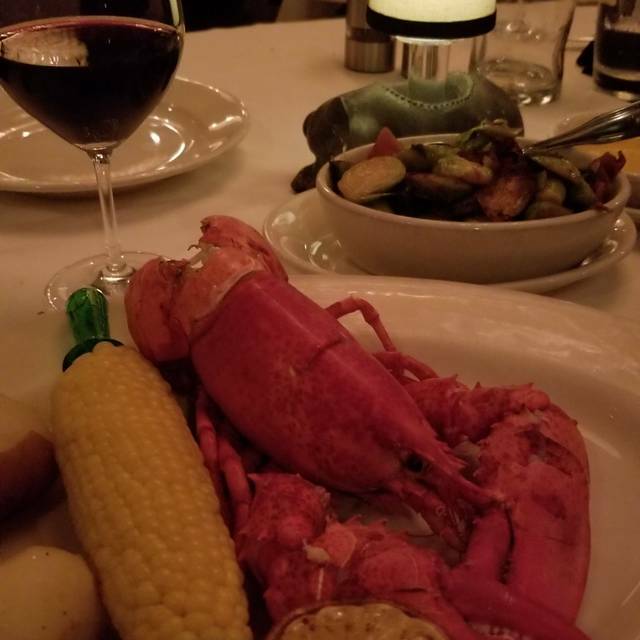 (Crab cakes, lobster Mac n Cheese, brussel sprouts and my husband had a filet with lobster on top). Awesome server (David). The French 75 was excellent!! It was my birthday dinner!! Overall awesome experience! Requested a table with the best view and the hostess seated us near the wine cellar and kitchen. Check plus! Amazing crab cake appetizer but the shrimp was out of this world. Sommelier gave us an amazing bottle of wine suggestion to pair with our steaks! Wow! 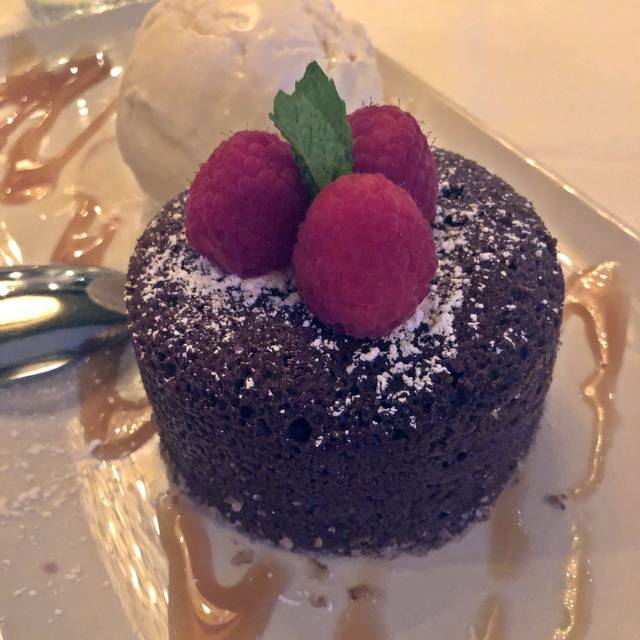 The molten chocolate cake dessert was perfect! I will return to this place many times now. Thank you Morton’s! Great location when in the Galleria, awesome bar and wait staff. Perfect for a dinner meeting or any meal. Had a great night for my anniversary, awesome staff and service. We went for my birthday and had a wonderful experience! Our waiter Gerardo was fantastic! The food was delicious...wedge salad, filet, brussel sprouts...yum! We had a great experience as always. EXCELLANT food preparation,presentation. Superior service. Had a pretty decent experience. The place was aesthetically pleasing and the food was pretty good. The deserts were amazing. Cocktails were strong and reasonably price. We had a pretty good waiter but he charged us for a piece of cake that he said was on the house because of my wife's birthday. One of the members of my party said one of the hostesses was really rude to him but she was okay with us. My husband and I have been coming to Morton’s since we started dating in 2000. Always love it! The atmosphere is great, the staff is always very friendly. The food is delicious. Best Stakes I’ve had! The service and the food were excellent. I am always glad to see restaurants living up to expectations; Morton’s certainly did. The food was amazing! One of the best steaks I’ve ever had! The quality and quantity of the food is excellent. It is quiet during lunch so it is great for business lunches. Highly recommend. Underwhelmed with the food. The atmosphere was dull, boring. My lobster was tough. Not a good value for what we paid. Extremely disappointed as we go somewhere every year and this was not good experience. I had requested a booth and was told when we arrived that there was no booths available and then we were sat next to a table with children. It was Valentines Day so my husband and I were surprised by that. Our waiter had a hard time hearing us as we ordered and confused our drinks. Our waiter also took our brussel sprouts and didn’t offer to box them up. $300+ for a dinner. My first steak was over cooked. They charged us for a Chicken Christopher and fries ($43) for what we thought was a split kids chicken meal. I had to ask if there were any specials instead of the server volunteering that info. Our table was taken by someone else when we got there. The bisque was luke warm and bland. The crab cake was barely warmed as well. Service-wise, it felt like we were the undesirable table that was being rushed. Essentially it’s a combination of small grievances that made this experience so disappointing. Include the price point and i definitely wasted $300 for mediocre food and service. I typically compare my experiences across different steakhouses and “fine dining” places. 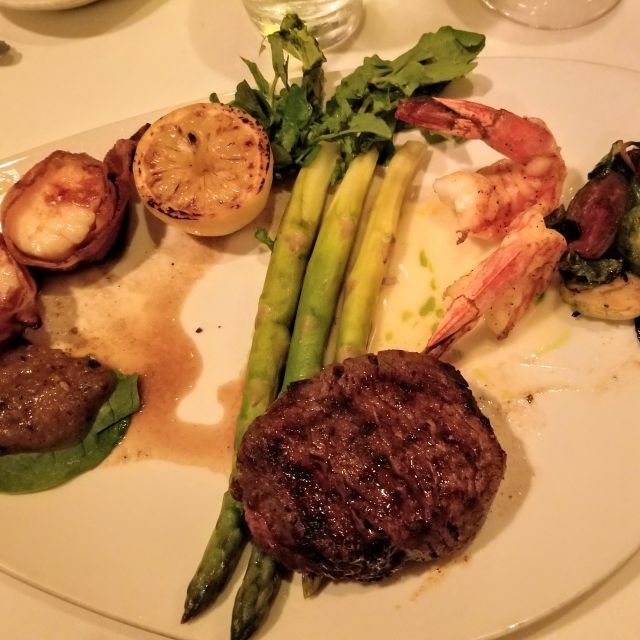 Capital Grille and Eddie V’s still reign supreme, and I’m starting to believe that if it’s Landry’s owned, I should expect less than stellar results. It was a great experience. Our waiter was very attentive and offered us great selections, which we enjoyed. We enjoyed the night tremendously. Eric Kresse joined us at the table to ask about our experience and to tell us about the reward card. We had a good laugh about how I can't seem to keep up with this card and have been to the restaurant on numerous events. I promised him that I would make sure to registered the new card and I have this time. We make a point to visit Morton's every time we visit Houston for one of his autograph signing sessions. Can't wait until the next time. Our waiter was the star of the night for us. Very attentive and knowledgeable. I had to have the salmon for medical diet restrictions but wasn’t too crazy about it. However, as always the steaks are some of the best we’ve had. 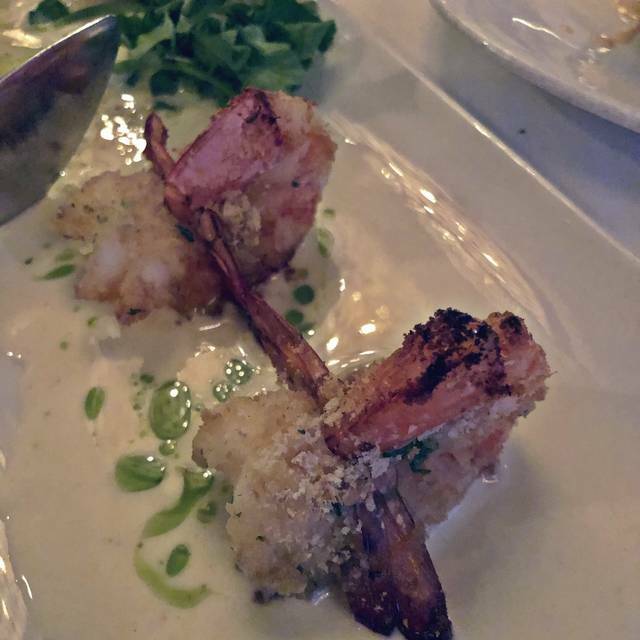 only minor hitch was waiter seemed rushed and rattled off menu options too fast & had to be asked to repeat [Bryan]. Steak and lobster dinner was outstanding. It was my first time visiting and it will not be my last. My waiter Miguel was absolutely amazing. It was my bf’s birthday and it was definitely one to remember. I loved it. As usual food and service were fine but server forgot to mention my receiving Loyalty credit..so i called to get my $80 worth of credit. I was told i was eligible for $30 worth of credit since i used a gift card. REALLY? well that was my xmas gift and i chose to use it at Mortons where i get loyalty points. I think Landry’s needs to reconsider that point. Someone paid $50 for that card. Whole thing is INSULTING. And i am a Landry Loyalist..bye bye Landry’s.